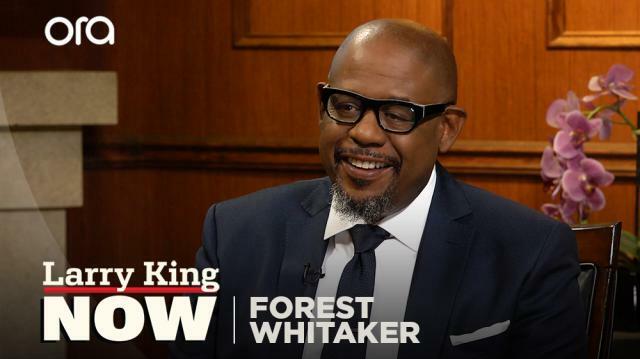 ‘Black Panther’ star Forest Whitaker describes the highly-anticipated film – which set a record for the highest advance ticket sales of any Marvel movie – as something audiences have never seen before. Larry King: How do you account for this mass pre-sale? Forest Whitaker: I think people want to see something that they feel they haven't seen before, I think they wanna live in this universe of superheroes or archangels, whatever, of Marvel Comics, but they also wanna feel that they're seeing something new, and I think with this film you're gonna see a universe that hasn't been unveiled before, and even just the tribes and the nations that come together to protect this country and to protect the world, you haven't seen all these different tribes coming together under a king, because the difference between this superhero, Black Panther, is he's a king of a nation. His father was king, his father died, and he takes over that position, so he's not only trying to protect and rule a nation, with the politics and all the things that that ensues, but he's also trying to protect the world with this power that's been bestowed upon him to be able to protect and serve.